ATLANTA – Whether you’re interested in business trip, staycation or vacation, Comfort Suites has got you covered at its new boutique property in downtown Atlanta. A mere stone’s throw from hot tourist attractions like the World of Coca-Cola, Georgia Aquarium, CNN Center, Underground Atlanta and more, Comfort Suites Downtown introduces a modern, vibrant twist to a district filled with rich history. Brought to Atlanta by Frontier Realty Development and Hospitality Group, downtown’s newest jewel is located in the heart of bustling Peachtree Street downtown, one of the city’s most walkable and energetic areas. This property is historic in location yet modern in design and amenities. Join us for an evening indulging in delectable cocktails, bites from Georgia Peach, unparalleled amenities and trendy, modern décor. Comfort Suites Atlanta Downtown brings a big name to a unique, boutique development and is excited to invite media on property Wednesday, May 25th to see the final renovations and enjoy an evening meeting the who’s who behind the property. Comfort Suites Atlanta Downtown is taking reservations where visitors, students, tourists and Atlantans will be able to steal away to a fun slice of the city, while still within the comfort of a well-respected brand that always makes guest experience its number one priority. 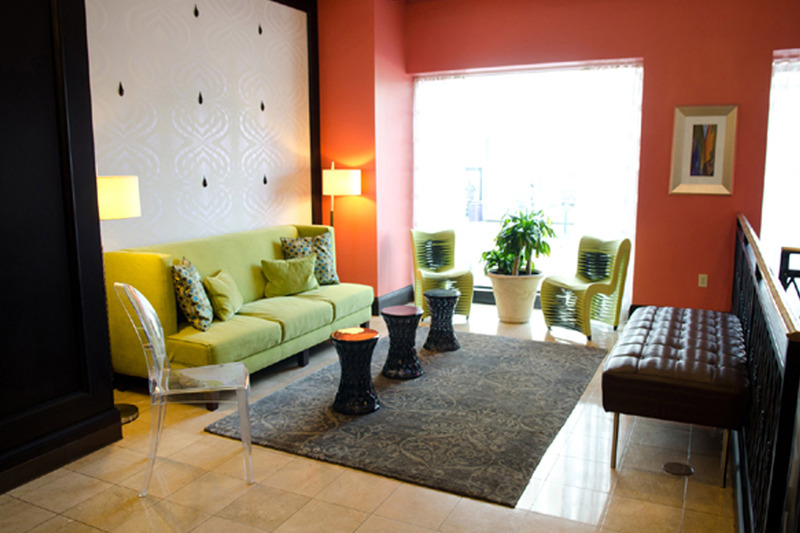 Comfort Suites Atlanta Downtown Hotel treats you to old-fashionedSouthern hospitality updated for the modern world. Budget-friendly amenities include free and reliable wireless high-speed Internet, free deluxe continental breakfast and a free area shuttle. This downtown property is adjacent to many local hot-spots and features 156 guest suites and 2 meeting/banquet rooms. For more information and special packages, visit www.comfortsuitesatl.com.